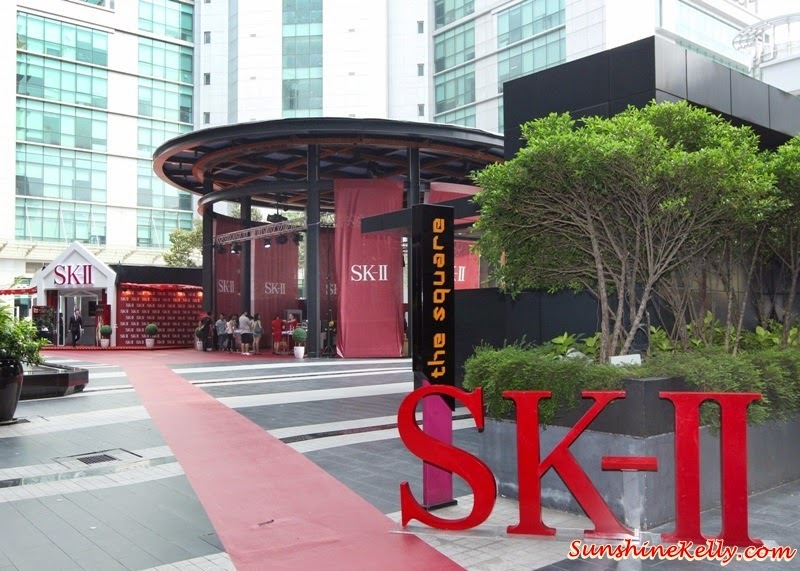 After all the hype about the first pop up Pitera House by SK-II at Publika, Solaris Dutamas; finally it was launched on the 10th Oct, 2014 evening. Can you change your skin destiny? Ong Yuh Hwang, SK-II Sales Director; Carla Soong; Fauziah Latiff; Shir Chong; Nicolas de La Giroday, Country CEO for Procter & Gamble Singapore and Malaysia. The first Pitera House was launched by Nicolas de La Giroday, Country CEO for Procter & Gamble Singapore and Malaysia. He was accompanied by and Ong Yuh Hwang, SK-II Sales Director; SK-II Malaysia brand ambassador Fauziah Latiff and other local celebrities such as Shir Chong and Carla Soong. Pitera House features a Discovery Gallery where visitors will discover more about the concept of skin destiny, its findings and how staying ‘beautiful forever’ is now possible. Visitors will have the opportunity to get a complimentary skin check with SK-II’s unique Magic Ring skin analysis device and find out more on how they can take charge of their skin’s destiny and transform their skin to crystal clear. In the Skin Destiny Study, scientists looked at women, the skincare they swear by and their skin conditions at 30, 40, 50, 60, and even 70, for the first time ever to unlock the secret to lasting crystal clear skin. Stories from SK-II’s celebrity ambassadors and loyal users such as award-winning actress Cate Blanchett, Tang Wei, Ni Ni and Kim Hee Ae also offer visitors more insights into how they have changed their skin destiny with SK-II. According to SK-II latest ground-breaking Skin Destiny Study revealed that women have the power to determine the fate of their skin and have lasting crystal clear skin for years to come with its iconic Facial Treatment Essence (FTE). The results of the study are being showcased at the brand’s first pop-up store in Malaysia called Pitera House, inspiring women to take charge of their skin destiny and discover a future of beautiful forever with theme #ChangeDestiny. After the launched there was a #ChangeDestiny Mini Concert where well-known local stars Atilia Haron, Fynn Jamal and Daiyan Trisha entertained the guests to a medley of popular hits. During the Pitera House at Publika, Soraris Dutamas from 7th till 14th Oct, 2014; I ran a Pitera House Selfie Giveaway on my Instagram @Kelly2988 My readers and followers who take a selfie and posted up on Instagram tag me at @kelly2988 and hashtag #SunshineChangSkinDestiny 5 winner were selected and each of them won a bottle of Facial Treatment Essence, 75ml worth of RM229. I'd be visiting SK-II Pitera House soon!